As soon as an officer pulls you over on suspicion of operating under the influence (OUI), you may be asked to perform one or more road side tests, known as “field sobriety tests”. These tests were purprtedly designed to challenge a driver's physical coordination, mental alertness, and ability to follow instructions. However, these tests are highly subjective and can be inaccurate. You are not required to do these “field sobriety tests”. If you chose to do the field sobriety tests, it is extremely likely that the officer who thought you might have consumed drugs and or alcohol is the same officer that tests you and decides if you pass or fail. If the officer believes you are under the influence you will be placed in custody and you will be asked to submit to a Breathalyzer test. Refusing Breathalyzer test the can lead to additional motor vehicle license loss penalties in the future and will result in you being charged with OUI. Failing a Breathalyzer test will result in you being charged with OUI and the results of your Breathalyzer test can be used as evidence at trial. If you fail the breathalyzer (score .08 or higher if you are age 21 or older), or if you refuse the test, you will be arrested and taken into police custody, where you will be booked on the charge operating under the influence (OUI) and you will be scheduled for an arraignment at Court within the jurisdiction in which you were pulled over. 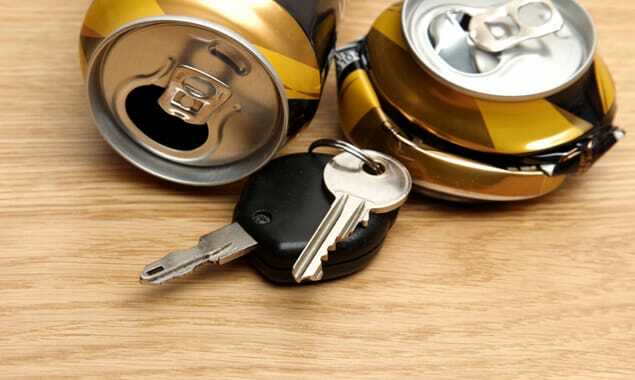 The consequences to a conviction for OUI (also known in other states as DUI or DWI) are many: loss of license, increased insurance rates, costly and time-intensive probation, and depending of the severity of the incident and your prior court history, jail time. To set up a free confidential consultation to discuss your case, call now. If you are given probation under the terms of a 24D disposition, you must complete a certified driver alcohol education program. The class costs approximately $700 and normally is not be covered by health insurance. This cost of the class is in addition to a monthly probation fees (typically $65 for each month you are on probation), $250 head injury treatment trust fund surcharge assessed in all OUI cases, and the $250 state program fee that the court will impose at the time of sentencing. The driver alcohol program consists of 16 weeks of group classes where you will learn about AA (Alcoholics Anonymous), NA (Narcotic Anonymous) and other self-help and recovery organizations. During these classes you will also hear from such groups as SADD (Students Against Drunk Driving) and MADD (Mothers Against Drunk Driving). Last but not least the program will have you do an exit interview where you receive recommendations for any necessary aftercare and support. These recommendations will be forwarded to your probation officer and are typically made a condition of your probation. The huge advantage of the 24D program probation is that the otherwise mandatory one-year license suspension may be reduced down to 45 to 90 days. Additionally you may be eligible to obtain a hardship license (AKA Cinderella License) during this suspension period. First offenders who have enrolled in the 24D Program are eligible to be considered for a hardship license. You need not have completed the driver alcohol education classes but you must bring in proof of enrollment in the driver alcohol program to apply for the hardship license. You will typically get an enrollment letter from your driver alcohol education program upon payment of the class fee. Be advised if you fail to attend the classes, it will result in the immediate revocation of any hardship license you may have obtained. Hardship Licenses are awarded at the discretion of the RMV. Although you may be eligible and meet all the listed requirements for hardship license, the RMV rejects and approves requests on a case-by-case basis. Be sure to seek the help of a skilled attorney to help you get back your license.